Getting in and out of a vehicle can be a major problem. Mobility seating offers a solution. 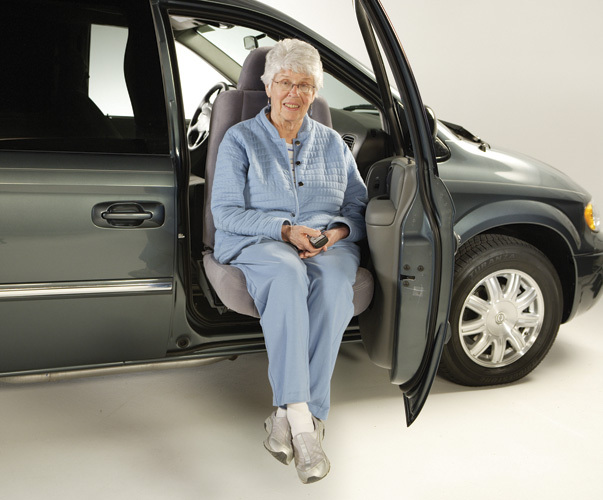 As the population gets older and today’s vehicles get larger, getting into a vehicle becomes a major obstacle to someones mobility and freedom. 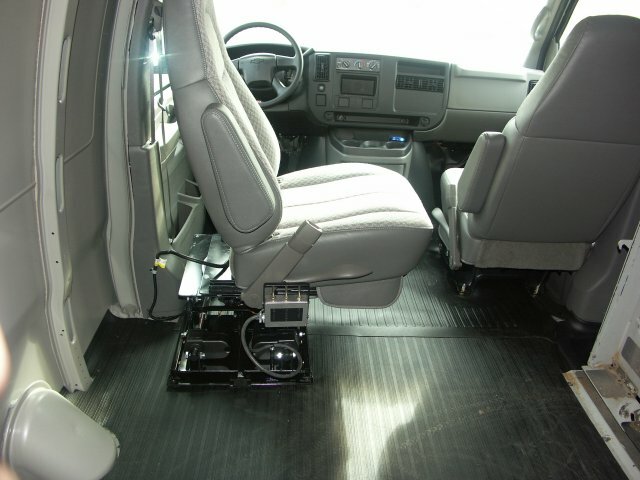 Seats that rotate out of a truck, motorized transfer boards, and 6-way seat bases can make transferring into a vehicle much easier. The Valet Seat is a device that will rotate out of a vehicle and down to a height that is much more comfortable. It then will lift you up into the vehicle and rotate you back to a normal sitting position. The unit can be installed in most positions of a vehicle and with hundreds of vehicle applications, can be used in most cars, trucks, SUV’s and vans on the market. The Valet Plus offers a programmable travel making it possible to be installed in many driver applications as well. 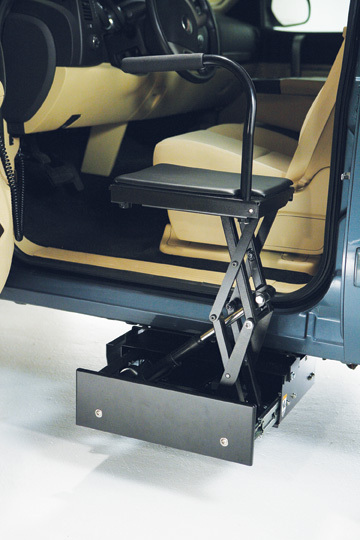 A six-way seat base is often installed in lowered floor mini vans or full size vans where the occupant will transfer from their wheelchair into the driver or passenger seat. The motorized seat base can rotate, travel forward and backward, and up and down so you can position it where it is most comfortable to transfer. The Stow-Away is a transfer board that is installed underneath a pick up or SUV. It will power out and up to a height where you can transfer onto the board. It will then raise you up to the height of the OEM seat. This product is perfect for someone who wants to retain the comfort and options of the OEM seat.